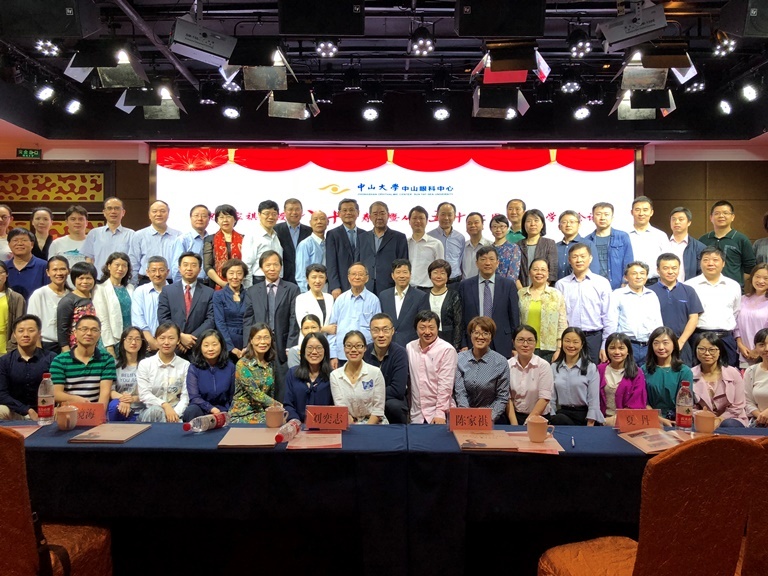 On April 22, 2018, an academic conference was held to celebrate the Prof. Chen Jiaqi’s 80th birthday in Guangzhou Ocean Hotel. Prof. Chen’s students and invited respected speakers shared their latest breakthroughs in vision research. Over 200 health professionals in the field of ophthalmology attended the lecture series. This conference also provided an opportunity to recognize Prof. Chen’s fundamental contributions to ophthalmology. Prof. Chen Jiaqi, the former Director of Zhongshan Ophthalmic Center, was also elected as a foreign academician of Russian Academy of Natural Sciences, making him the first Chinese to be given such an honor in the field of ophthalmology. Having been engaged in clinical work and scientific research in ophthalmology for fifty-seven years, Prof. Chen has accumulated rich experience in preventing and treating common frequently-occurring ophthalmic diseases, especially in the diagnosis and treatment of keratopathy, keratoplasty and ocular surface reconstruction. Up to now, he has successfully completed nearly ten thousand operations of keratoplasty and ocular surface reconstruction. And in the meanwhile, Prof. Chen Jiaqi has won the National Scientific Conference Award once, National Science and Technology Progress Award 5 times, ministerial and provincial awards 24 times and hold 4 patents.